I finally did it! I finally did it! 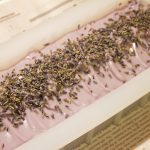 I finally made soap! 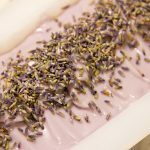 I started with the simplest soap kit that I bought — the Relaxing Lavender cold process soap kit from Brambleberry. 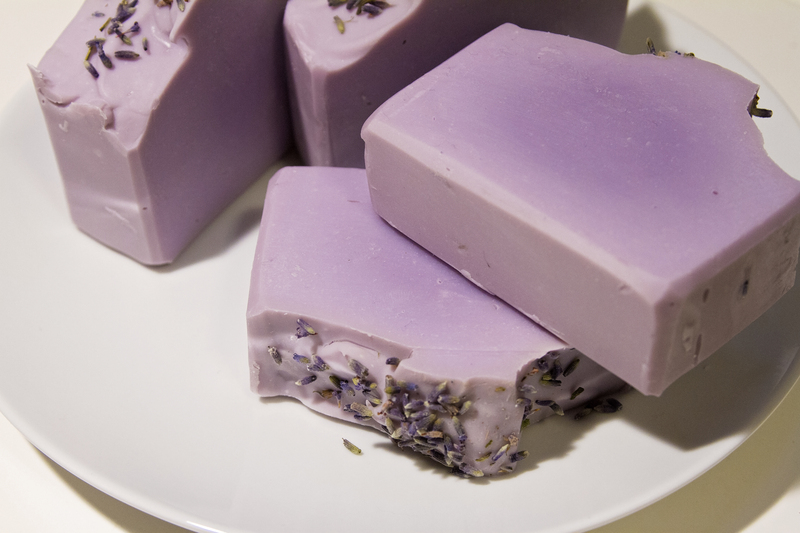 This particular soap is all-natural. 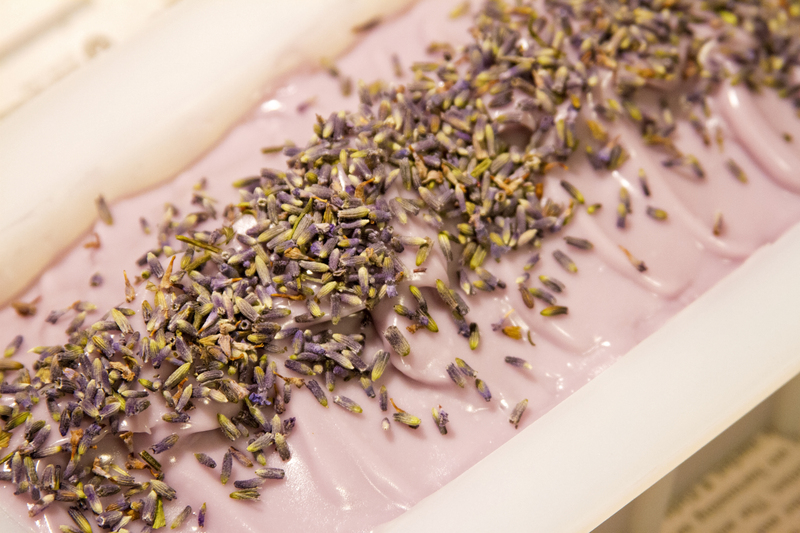 It uses a natural oxide pigment, ultramarine violet, for color, and it uses lavender essential oil for the fragrance. 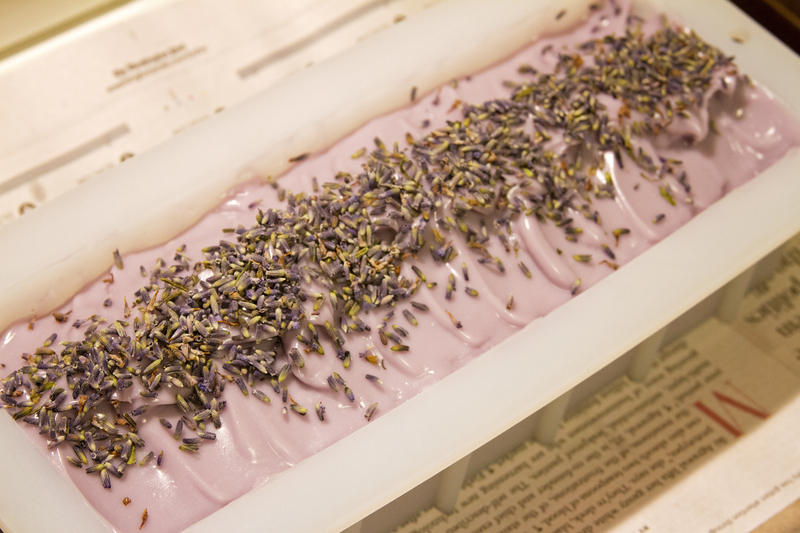 The final product is a beautiful, vibrant, strongly-scented, soft bar of soap. 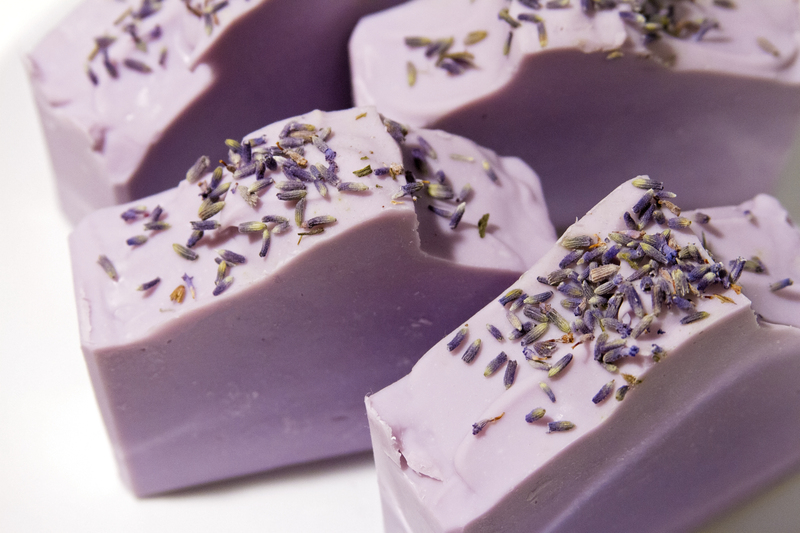 This particular recipe uses oils that tend to produce a rich lather. 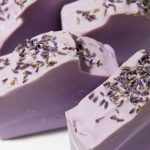 Cold process soap takes about six weeks to cure, meaning the lye and oils have fully saponified resulting in a mild, gentle soap. So that means I won’t be able to test or start using my soap until December 4th. Patience is a virtue, right? 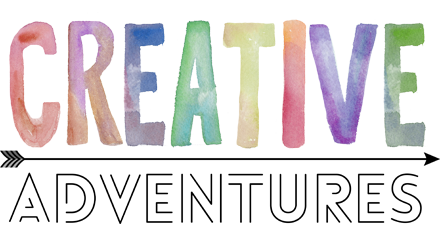 I am so loving this craft. 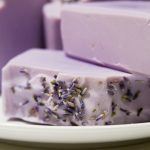 I did a lot of research on soaping before trying it myself (which I highly recommend you do too! ), so the process came fairly easy to me. I still made a couple of mistakes along the way — I made some incorrect assumptions about the oils, and I almost missed a minor step altogether. But by diligently checking my instructions after every step, I was able to catch and correct my problems. With regard to the kit itself, I would absolutely recommend this one for a complete newbie like me. The recipe and technique is simple, and most of the ingredients are pre-measured for you. Plus, you don’t have to run any calculations on the recipe. In other words, you don’t have to calculate how much lye to use to fully saponify your oils. The kit tells you exactly how much you need. The instruction booklet that comes with it is really nice, too — it’s full color, gives in depth directions, but is simple to follow. 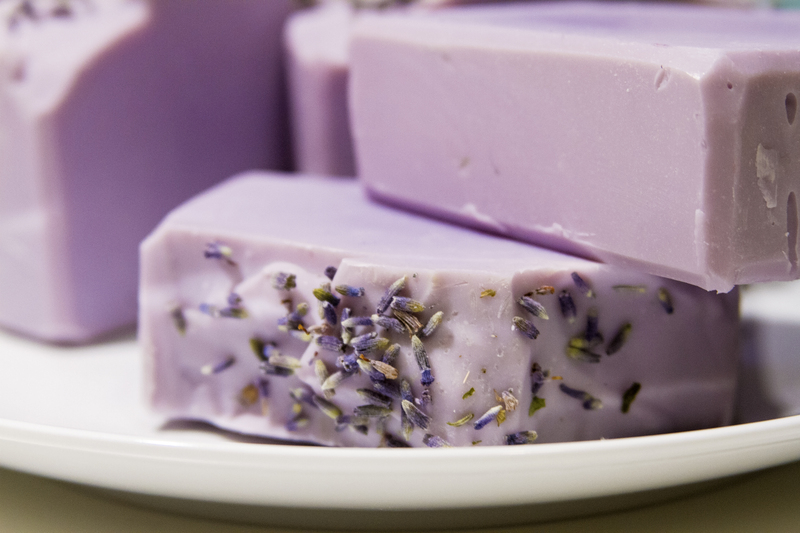 It also includes some terminology and specifics on other ingredients you might use in future soaps. 10/10, would definitely recommend. 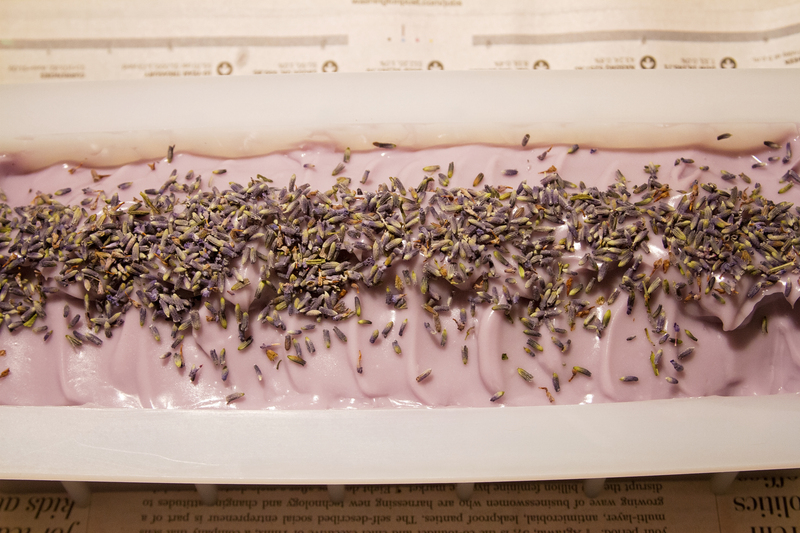 The next soap I’ll be making is Brambleberry’s Sunshine Citrus cold process soap. 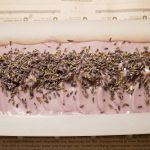 It’s still considered a beginner soap, but it is a slightly more advanced technique. One thing I know… I cannot wait to get into some of the really advanced techniques I’ve seen — drop swirls, hanger swirls, funnel swirls, ALL THE SWIRLS! 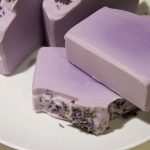 Stay tuned for more videos on soapmaking, plus some upcoming recipe and cookie decorating videos that I’ve already filmed (but need to edit). As always, if you have any questions about the video above or have suggestions for future topics, let me know in the comments. I’d love to hear from you!